Cave painters communicating through images painted on walls using inks formed from sap and animal blood, and blowing on the wall using ‘brushes’ made from animal bones. Click this link for to visit Dorling Kindersley’s lovely guide to cave painting, which is perfect for children. From around 3000 BC, scribes in the Middle East made an impress to be rolled onto clay tablets to copy and duplicate images. Made by mixing black soot with vegetable oil and beeswax. Different colours were produced by mixing materials like ochre instead of soot. Scribes used reeds to brush onto papyrus and to decorate tombs. For more information click here to read this post by Brooklyn Museum. Using a hard reed as a pen, fashioned like a fountain pen with a nib, the Greeks scribed on parchment. To meet demand, battalions of slaves would copy out classical works. For over a century, this was the means employed to transfer images to paper. The Diamond Sutra is published, complete with illustrations and text, using woodblock printing technique developed during the T’ang Dynasty. The most famous example is Yi Munsun Chip, a collection of works by revered poet and scholar Yi Munsun during the Koryo Dynasty. A Chinese county office prints 43 books after making 100,000 wooden moveable types. The Gutenberg Bible is the first major book printed using mass produced metal type. Thanks to this visionary technique, books could now be printed in their millions. Find our more about it here. Psalter, a collection of Psalms, is printed in more than one colour. 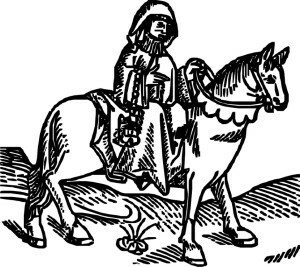 William Caxton introduced the first, publishing Geoffrey Chaucer’s Canterbury Tales. 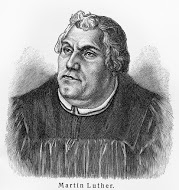 Thanks to the printing press, Luther and Protestant Reformers were able to disseminate their ideas. Shared in the country’s vernacular, the use of Latin dramatically declined. Printing stimulates the economy with the rise of industries related to printing. Books were now written in a range of subjects including music and travel – not just religion. The first bible available in the English language is mass produced at the request of King James I. Located on Fleet Street, which became England’s newspaper district. 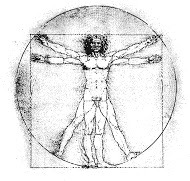 Technique developed to repel ink from paper – except where it is required – resulting in clear, sharp printing. To enable this historic document to be easily shared with the masses. Created by Frenchman Louis Braille, who lost his eyesight in childhood, this form of printing has revolutionised the lives of the blind. Look at this amazing video of a modern day braille printer…made from lego! 8,000 sheets can now be printed per hour. This advancement offered crucial cost-saving advantages to publishers. This device soon took pride-of-place in the offices of major companies. Graduate Gary Starkweather, working in the copier department at Xerox in the US, created a radically different way to print. This printer would scan images, transfer them electrostatically, and then use heat to fuse tiny specs of toner dust on to a piece of paper. This form of printing simply hammers tiny dots of ink on to paper. Cost effective, these printers have become the go-to choice for home use. Taking us closer to the concept of a paperless world. 3D printing (or additive manufacturing) is a process of making three dimensional solid objects from a digital file. Futurologists believe homes will soon be printing the objects they need rather than buying them from shops. Heralding a new industrial revolution? Watch this film and join the debate.